CROSBY – Today, Oct. 27, bus 45 got a ticket for passing a bus picking up pupils at the curve on FM 2100. 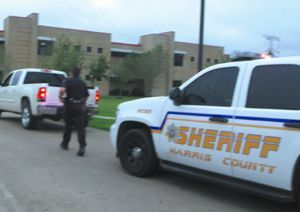 Since a video went viral on Click 2 Houston and social media of a local driver passing a school bus in the grass to the right of the bus, the Captain at District 3 of the Harris County Sheriffs Office ordered deputies to monitor and enforce laws inside the proximity of Crosby ISD School Zones. One deputy wrote 23 tickets on Monday morning. The tickets range from speeding to passing a bus when the red stop sign has been activated. The increase in traffic enforcement has drawn a reaction already. One resident was out filming the traffic stops on FM 2100 Tuesday morning saying he intends to prove that his wife had gotten a ticket on Oct. 26 wrongfully because when she passed the bus the sign was not yet fully extended as the bus was still rolling to a stop. He expressed outrage at the truck driver that was caught on a dash camera between 4:00 and 4:30 p.m. last Thursday on Bohemian Hall Rd. that stopped behind the stopped bus then hit the gas and drove around the side of the bus where children exit. But the resident added, I guess about 82% of these stops are bull and we are going to alert people that this $1,200 ticket writing is out of control. The driver of the truck has already turned himself in for the incident. However, there is a problem with commuters school zones and bus stops. Myth: If there are no houses or children coming from the opposite side of the school bus then why should I stop? WRONG: you must stop if there is no center median- the law does not give you a choice. In truth drivers do not have to stop on a divided highway with a center median, such as a grassy median is present, if you are approaching from the opposite direction of the bus. Those going the same direction of the bus must STOP. Drivers near school districts and buses might better stay off cell phones and operate within the law or face hefty fines. Tuesday night the public heard engineers, financial experts, and the Water District board tell of the need for physical improvements to the water lines and processing facilities of the Harris County Water Control & Improvement District No. 1. Mark Taylor, general manager of the water district, introduced Wallace Trochesset and Jimmy Flowers of the LJA Engineering firm, and Andrew Friedman of SAMCO Capital. They explained with slides and narration what work was planned for the system, and how it would be paid for. Although the total bond package that voters are being asked to approve would total $16,000,000, it will be sold and implemented in two phases. Phase I is termed 2016 Short Term Projects according to Trochesset. Work to be included are a digester for the wastewater treatment plant, and a control system for the existing lift station. The total for this work is about $2,500,000. Also included in Phase I is to replace the lift station at Blue Bell, and West Houston. They are deteriorated beyond repair, Trochesset said. The Corley lift station would be removed. This work is estimated at $688,800. Also included are renovations to the Battlebell water plant, and maintenance and recoating of the elevated storage tank, which is now 35 years old. This work is estimated at $1,977,000. Also included are new water lines to replace aging and failing lines, on Clear Lake Road, Wallisville Road, and Magnolia and West Houston. The total estimated cost of these is $680, 600. Rehabilitation of the existing clarifier No. 3 at the Waste Water plant, and treatment for phosphorous and nitrogen. This cost is estimated at $5,804,000. Also included in Phase II is a replacement Lift Station on West Houston, and the abandonment of a left station on Corley. These projects are estimated to cost $$608,000. The total estimated for construction costs is $12,256,400 and with engineering and legal fees the total project cost, and bond referendum amount to $16,000,000. The bonds, and construction, will take place over the next 8 years, Taylor said. The work is necessary to keep the aging system in operation, and providing safe drinking water. 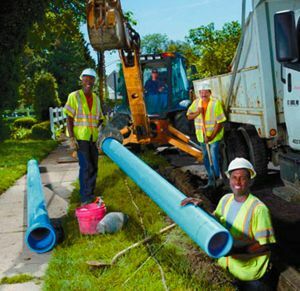 Bonds are a less expensive method of meeting costs, rather than paying for the work from ongoing water bill charges. It was calculated that for a home owner with an assessed value of $150,000, Phase I improvements would only cost about an additional $200 yearly on the water bill. After Phase II, the cost would be $645 added to the annual water bill. 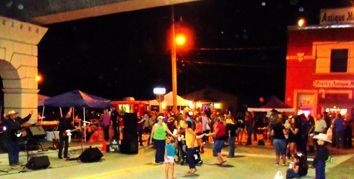 CROSBY  Back with a grand opening the New Crosby Street Dance is Saturday, Oct. 17 with loads of features for the locals to hear view and enjoy. The Grand Opening of the Crosby Antique Mall begins Noon Saturday with the closing of Main Street in the underpass below the overpass of Main Street in Crosby. It will be an event of live music, food vendors and shopping at 5613 South Main in Crosby. Scheduled Live Music events are to continue until 10:00 p.m. It all begins with karaoke by Karaoke Korner from Noon until 3:00 p.m. The Dayton Academy of dance comes out to perform at 2:30 p.m. All is a lead off for Bootleg Country Band at three lasting until six as lead for the title feature, Jason West and West of the Trinity Band, from 7:00 until closing at 10:00 p.m.
Rowdy Bucks Beer Booth will vend Americas favorite beverage. As of press time there is still vendor space available so call Danny Jones at (281) 799-2080. Barrett Station  A father and his son were shot and the father killed last Thursday at the Barrett Grocery and law enforcement has charged a local man for the double shooting. As traffic built prior to the rush hour crowd on the streets under construction about 2:00 p.m., Oct. 8 shots rang out at the Barrett Grocery. Javed Nizamani was critically wounded and later succumbed to his injuries but Shahzaib Nizamani is expected to recover. Both Shahzaib and Javed Nizamani were transported to Hermann Memorial Hospital via Life Flight Helicopters. Javed was pronounced dead at the hospital. The two were working at the store that Javed purchased two years ago. Shahzaib Nizamani recalled a man that frequently harrassed customers going by the handle Pooman was in rare form this day, knocking on windows, shouting and generally being a nuisance to the store employees and potential partons. While Pooman was shouting at the window, somehow the window shattered. Pooman left the business at that time only to return again a short while later with a handgun. Shahzaib Nizamani stated that Pooman reached inside the broken window with the handgun and shot both he and Javed Nizamani then fled the scene. Homicide Investigators were in the area most of the evening and spoke with a number of residents. The next day, Harris County Sheriffs Homicide Investigators filed charges on John Pooman Larue Simpson, 37, for the murder of Javed Nizamani. Anyone with information on the whereabouts of Simpson is asked to call the Harris County Sheriffs Office or Crime Stoppers at (713) 222-TIPS (8477). HARRIS COUNTY  Voters may want to start early this year, due to a very full ballot, with State Constitutional propositions, County, school and water district bond referendums, and candidates for a number of offices. Early voting runs from Oct. 19 to Oct. 30, and the general election is on Tuesday, Nov. 3. Hours for voting are Oct. 19 to 23 from 8:00 to 4:30; Oct. 24 7:00 to 7:00; Oct. 25 1:00 to 6:00; and Oct. 26 to Oct. 30 7:00 to 7:00. This year, in addition to the usual locations, the county has added locations: HCCS Northeast, and Riley Chambers Community Center to name two in this area. Also in this area, you may vote early at the Baytown Community Center, and at the main Harris County administration building downtown at 1001 Preston. Of interest to local voters will be the 7 state constitutional amendments; 4 Harris County bond referendums; 24 Baytown propositions; 2 Baytown Police and Fire propositions; Harris County MUD No. 1 issuance of bonds and taxes to pay; and in Highlands Harris County WCID No. 1 issuance of $16 million in bonds and taxes to pay. Outside of the immediate unincorporated area, there are also mayor and council races in the city of Houston, and bond and school trustee elections in surrounding community colleges and school districts. 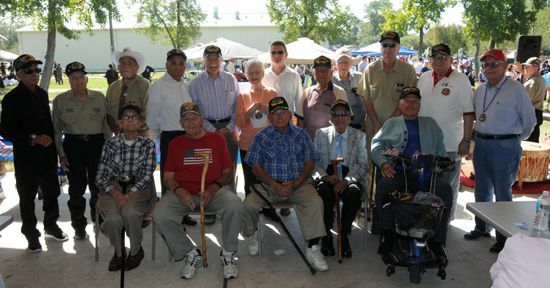 Detailed information is available at www.harrisvotes.org. 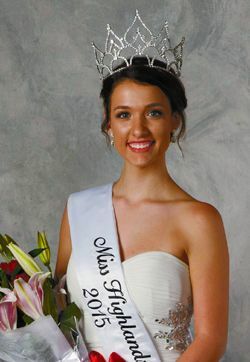 HIGHLANDS  The 58th Annual Miss Highlands Pageant was held last Saturday, with seven girls competing for the top title, and another nine competing for the junior honors. Two competitions were held, at 2 and 7 pm at the Highlands Junior School auditorium, with a full crowd in the audience hoping their favorite would take away the title. The Pageant show was emceed by Baytown police assistant chief David Alford and the 2014 Miss Highlands, Katlyn Burns. This year the theme was Back to the Beach with decorations on that theme. Both pageants included an opening number, constestant introductions, casualwear modeling, talent competition, dress modeling and interview question. Proceeds from the pageant are used by the Horizons for scholarships, and to help needy families and students in the community. In 2014 the organization was able to award 9 scholarships to deserving graduates. An additional award, the Jennie Robbins Community Service Award, was given to Maegan Linck for community mindedness and dedicating her time to serve and help others. Presented by Kathryn Robbins Dunlop. NEWPORT  The Harris County Fire Marshals Office is asking the publics help with any information on the identity of the two men seen setting a fire in the 17000 block of Scuttle Way in Crosby. Saturday, September 26, at 3:30 a.m., two male suspects, believed to be Hispanic are video recorded pouring a flamable liquid for the second time at the home of Allen Hill. A similar incident happened a week before, with less damage. Although video recorded throwing the liquid on the door, garage, back, and side of the house and pouring a lead fuse on the driveway, only the garage door and welcome mat were burned the second time. Barking alerted neighbors and the three occupants of the home. They were able to put out the flames. Local investigators do not currently have a motive, and an investigation into personal relationships is ongoing. Arson investigators would not say anything additional. They did indicate that there is a reward for the two suspects capture.